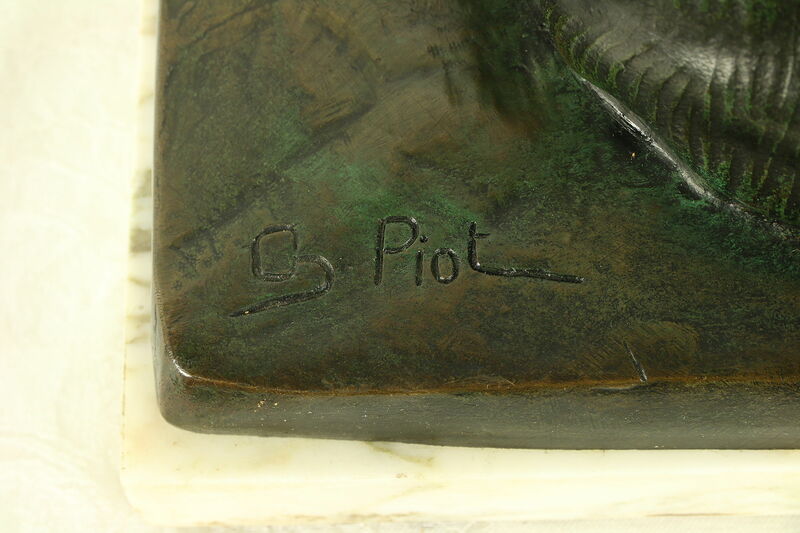 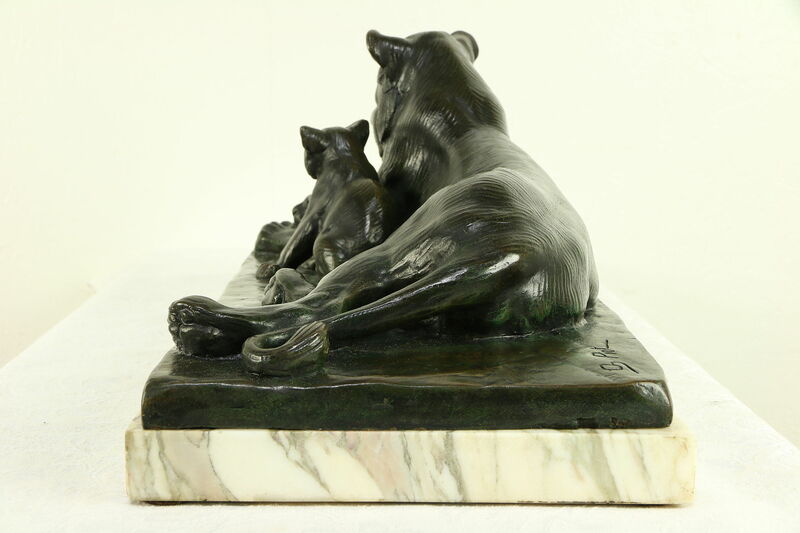 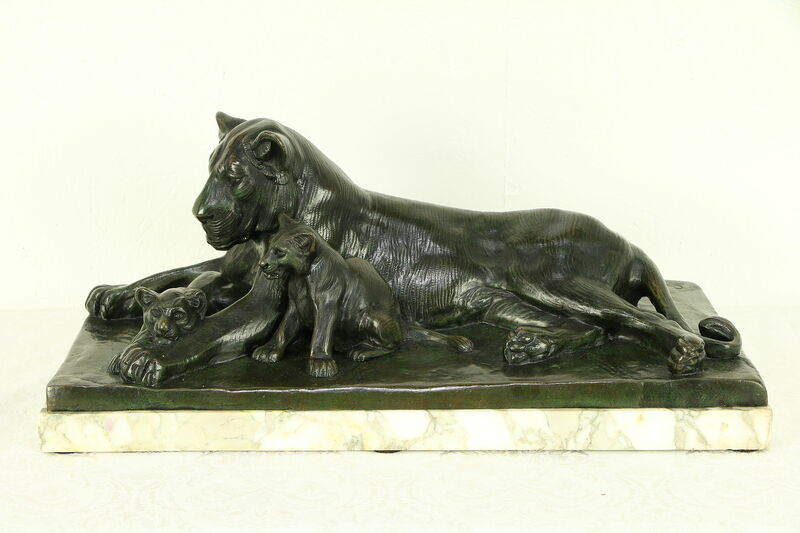 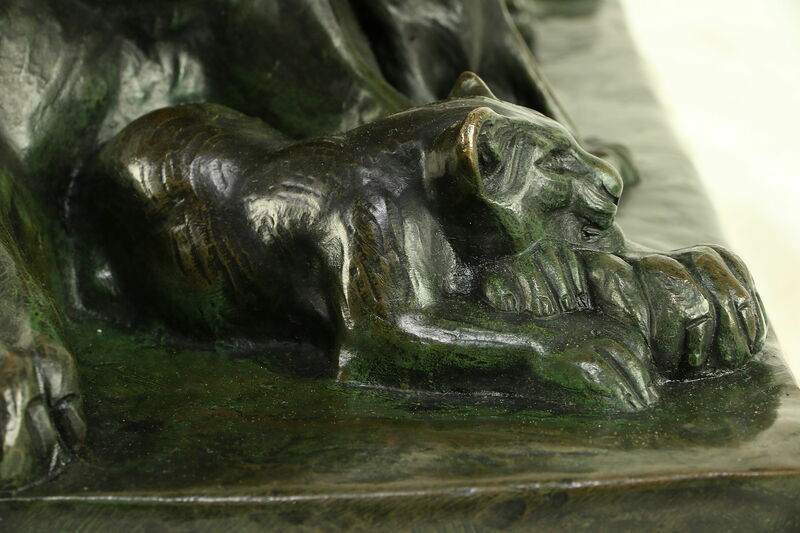 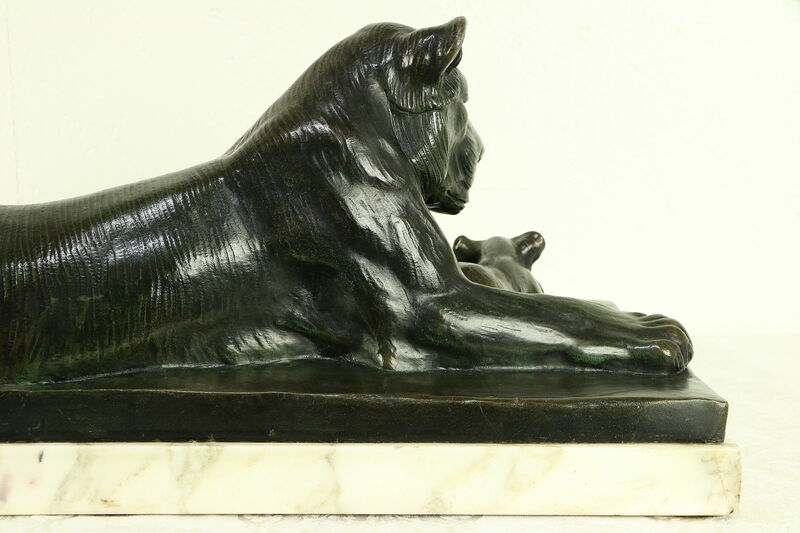 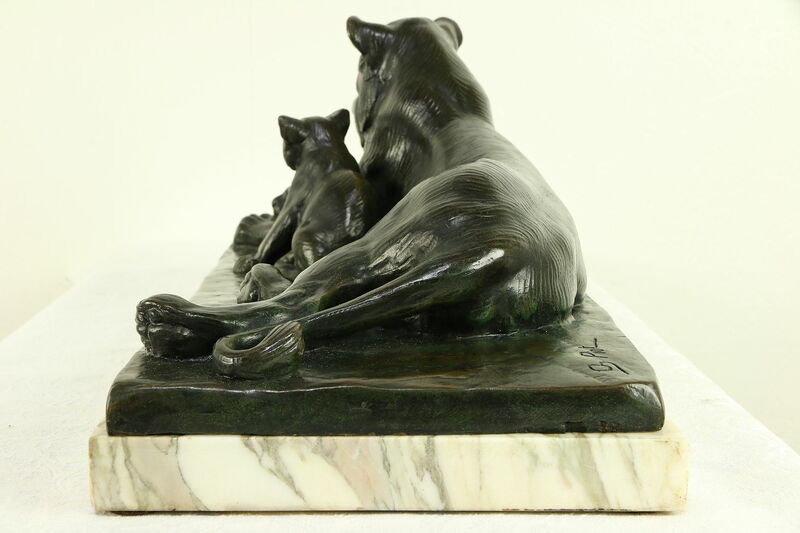 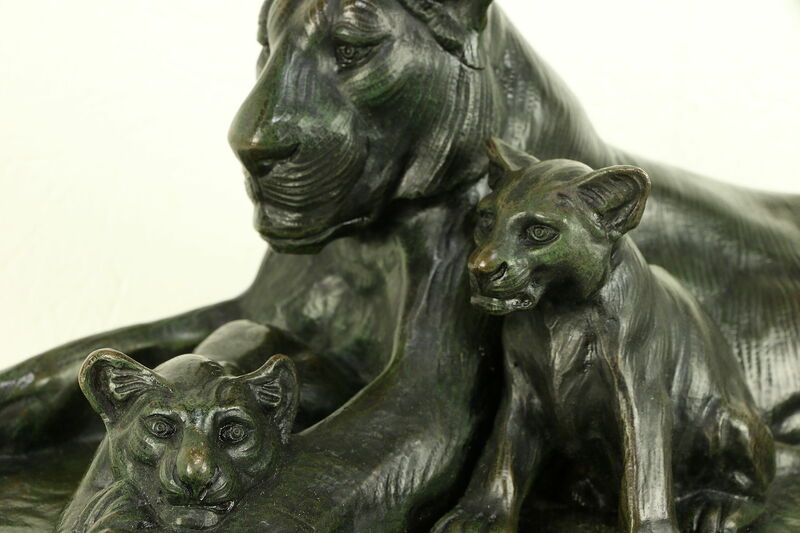 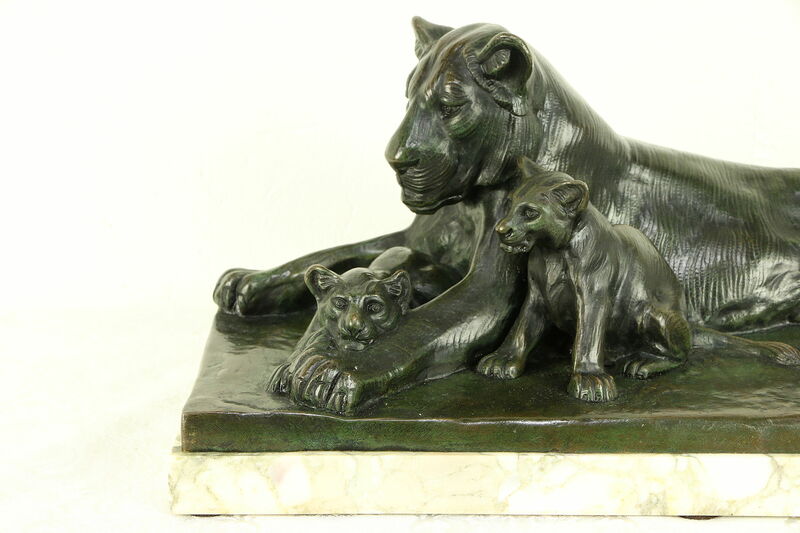 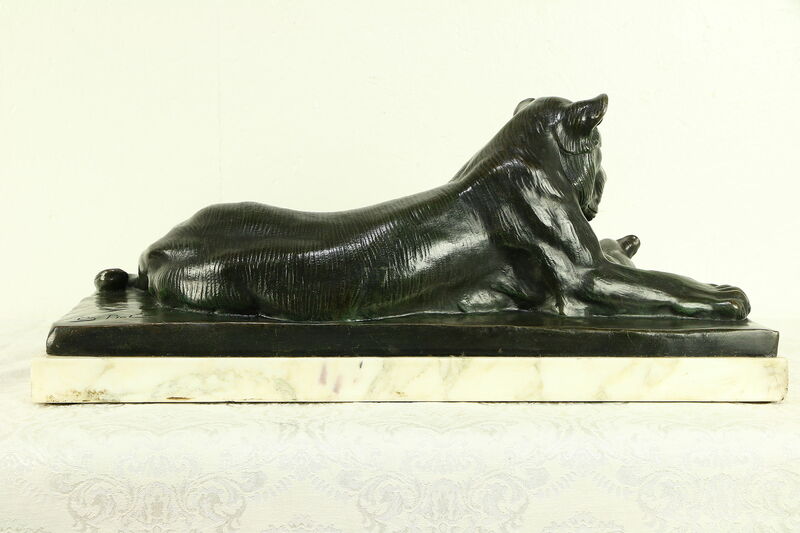 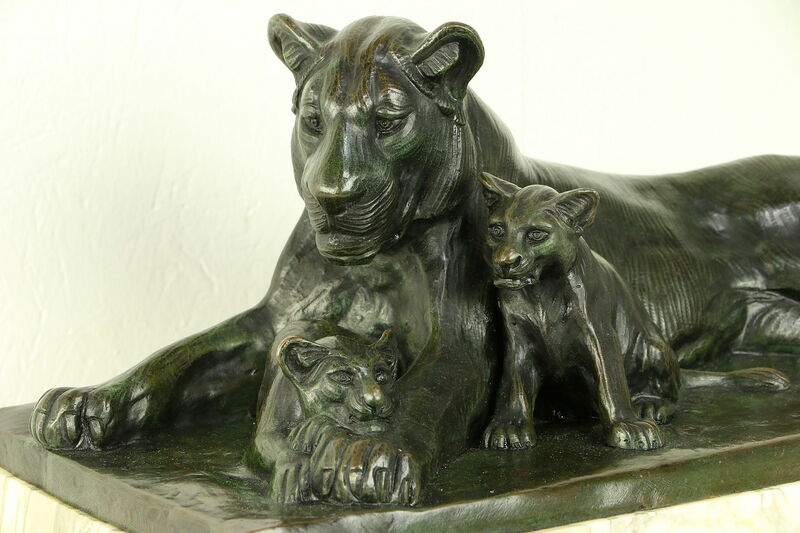 A genuine bronze statue of a lioness and her cubs from the early 1900's has a marble base, and is signed "Piot." 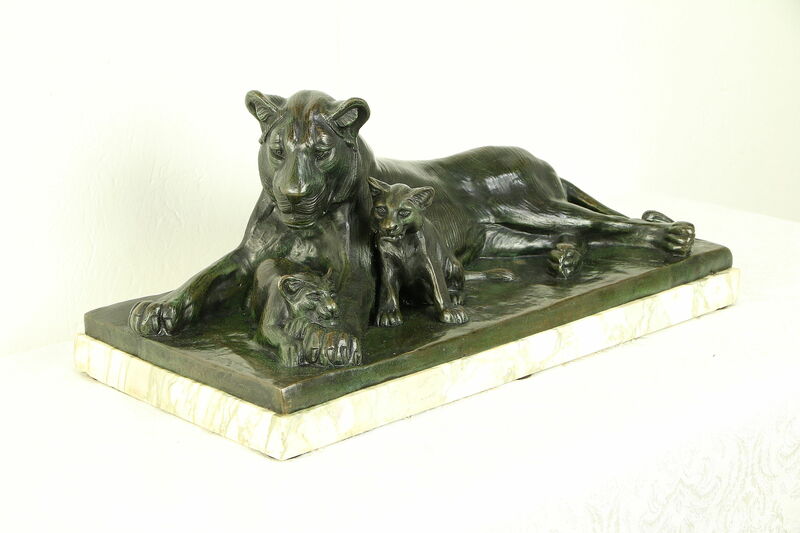 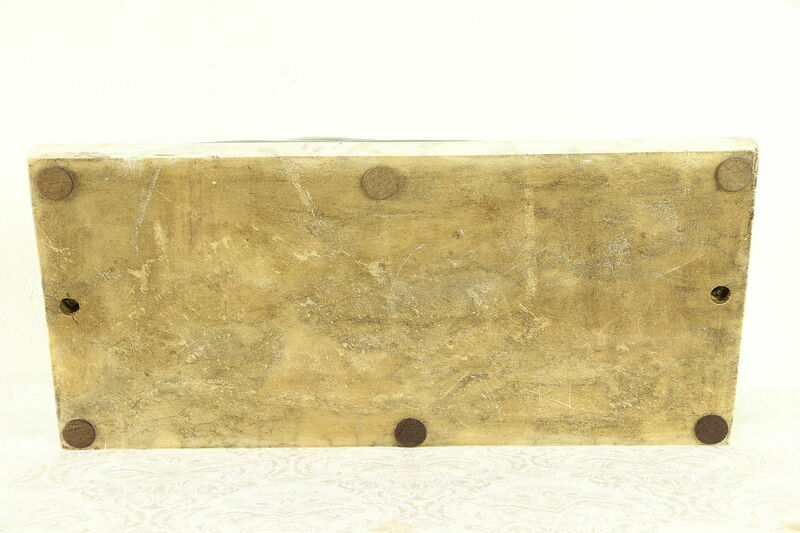 This sculpture from France has a marble base. 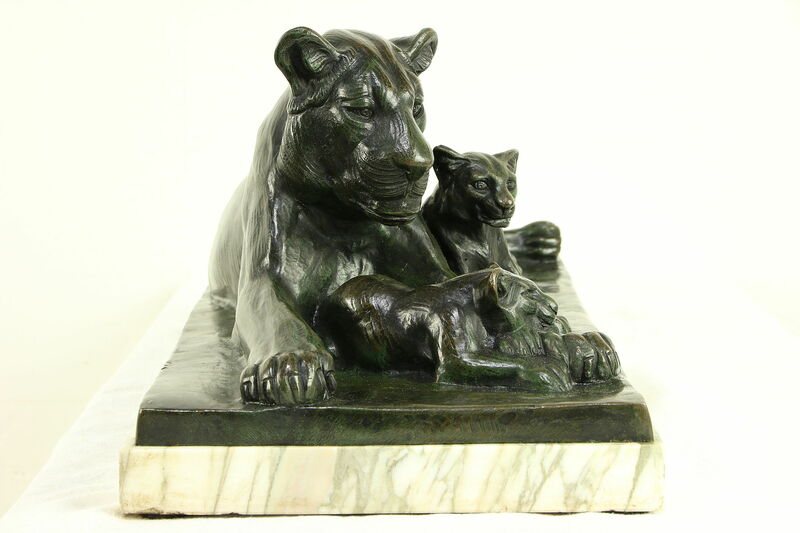 The resting mother attentively shelters her two young cubs. 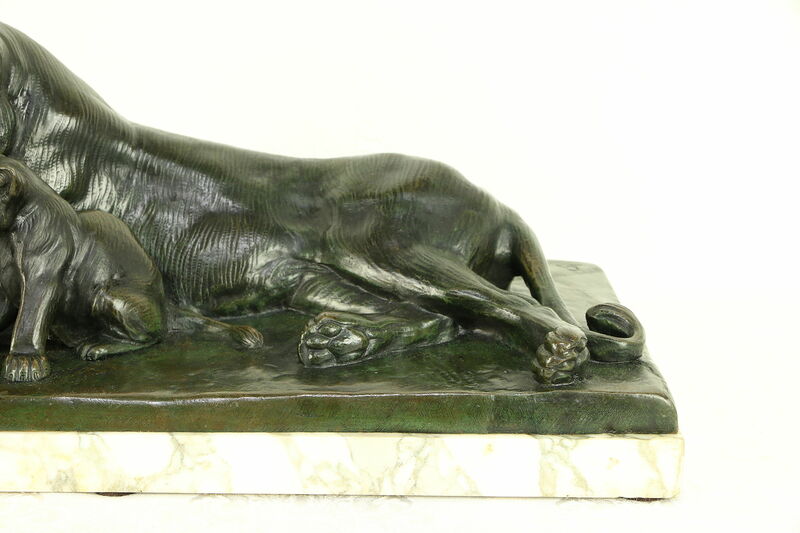 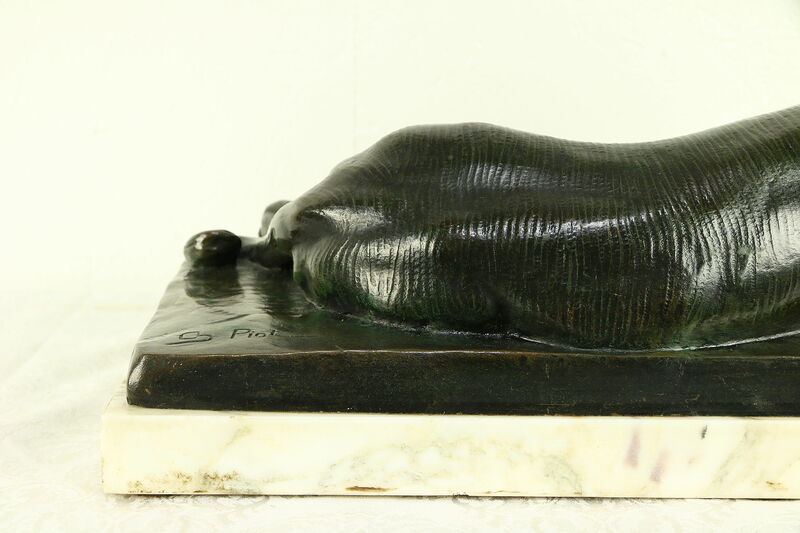 There is no information on the artist, but there is mention of an animal sculptor, "Charles Piot," who was active in France in the early 1900's. 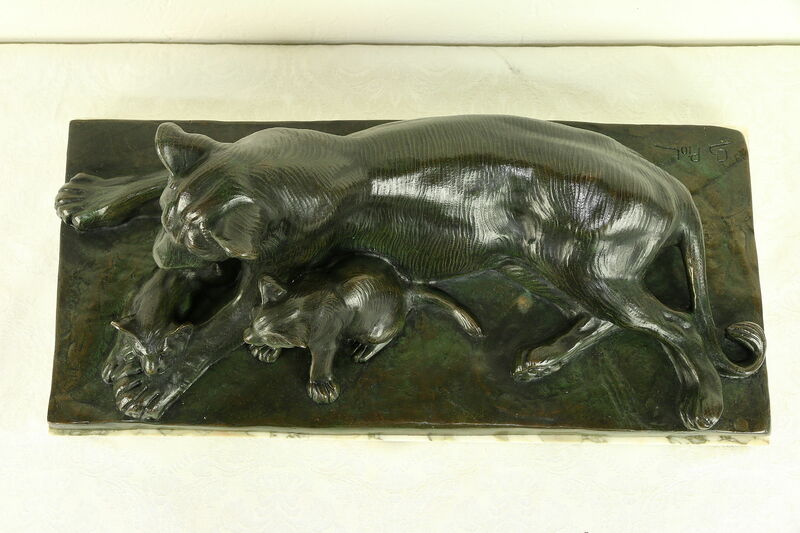 Size of this work of art is 20 1/2" long, 9 1/2" wide and 9" tall. 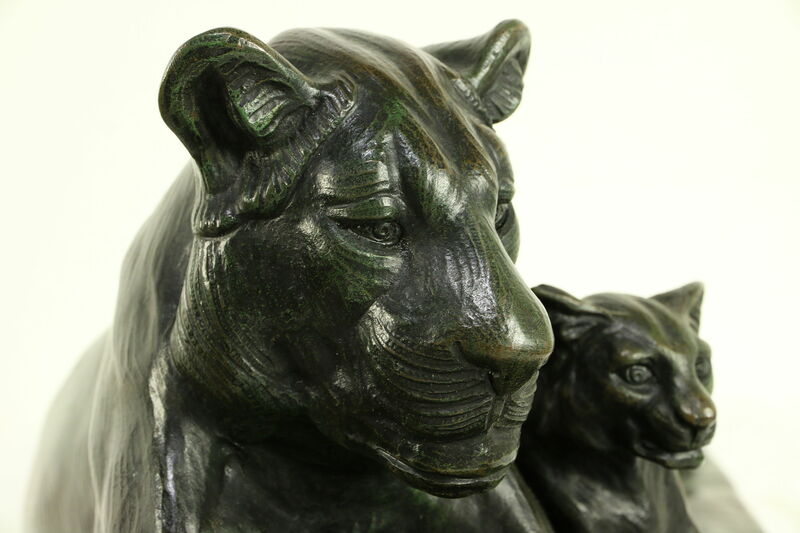 We are happy to request an independent shipping quote from our local UPS store, please contact us with your zip code.